A campsite in the Var near St-Tropez and Sainte-Maxime, in Provence-Alpes-Côte d'Azur. Explore the beautiful Var region in Provence-Alpes-Côte d’Azur. 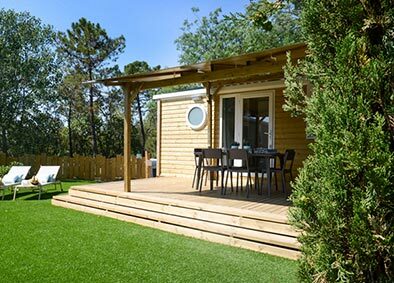 Stay at Camping des Mûres for an unforgettable holiday, with the backdrop of the Provençale countryside, between ancient pine forests and the sea. An outstanding location with stunning views over the Mediterranean and direct access to a fine sandy beach. Do you want to be surrounded by nature, in comfortable accommodation or have your own space? We meet all of your desires so that you can have your dream holiday! A community atmosphere Activities tailored to individual preferences! Camping des Mûres offers sporting, cultural and evening activities either on-site or nearby, suitable for both young and old. Share a moment of happiness and companionship with family or friends. 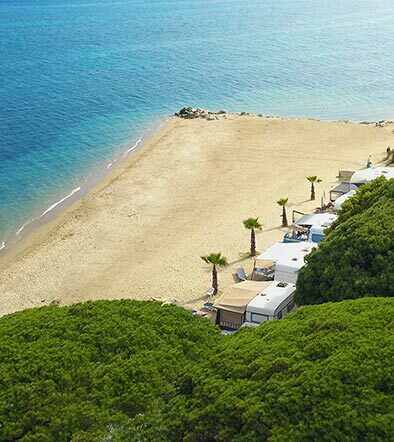 Camping des Mûres is located on one of the most beautiful beaches of the French Riviera, with its 400km of coastline and sunny climate. Go further inland to find a haven of picturesque and authentic Provençale villages. Explore our beautiful region by visiting the surrounding campsites, beaches, villages and the port. The seaside town of Port Grimaud welcomes you. Come and visit France’s “Little Venice” and explore this seaside town by boat. Visit Grimaud, a medieval seaside village, and stroll through the narrow streets and little squares in this beautiful corner of the Var.